Barry Freeman specializes in bank and asset-based and real estate lending, restructuring creditors' rights and Article 9 of the UCC, and is a member of the Firm's Corporate and Bankruptcy Reorganization Group, resident in the Los Angeles office. He also maintains an active mediation practice and is a commercial arbitrator for the American Arbitration Association including international arbitration. Barry's practice focuses on all aspects of secured and unsecured lending, credits, special assets services, asset-based and unsecured lending, syndicated and participated credits, representing both agents, participants and line banks; workouts and restructurings; creditors' rights; business bankruptcies; corporate reorganization; real estate workouts/financing; agricultural lending; and litigation counseling involving lender liability issues. Barry represents manufacturing clients in a variety of fields, including the sale and distribution of manufactured goods on open account and secured basis and has substantial expertise in the automotive, tire, and agribusiness industries. Barry also represents auctioneers and has conducted seminars on a national basis to fulfill the auction industry's continuing education requirements. An active national lecturer, Barry serves as an instructor for the American Bar Association Business Law Section's Loan Documentation Committee, the California State Bar's Continuing Education of the Bar Programs on "Bankruptcy Reorganization, Debtor-Creditor Rights and Secured Transactions," and several times over the years for The Practicing Law Institute and The Banking Law Institute on national panels. In addition, he is a lecturer for the California Special Assets Management Association (SAMA). Barry is an active arbitrator of complex commercial disputes for The American Arbitration Association and serves as an active mediator for the United States District Court, for the Central District of California and the Bankruptcy Court for the Central and Southern Districts of California. He has experience in use of force and 1983 cases. Barry has been elected as a Fellow in the American College of Commercial Finance Lawyers. 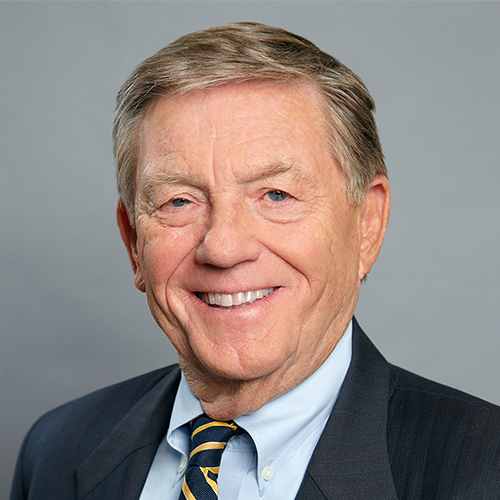 He is a past chair of the Loan Documentation Committee of the American Bar Association's Business Law Section and a past vice chair of the California State Bar Association's Agribusiness Committee. He is a member of the Advisory Council for The Banking Law Institute. Barry is a member of the California and Montana bars and their respective State and Federal Courts, and the Supreme Court of the United States. Elected as a Fellow of American College of Commercial Finance Lawyers. Panel chairperson and lecturer for over 20 years to bankers, lawyers and auctioneers primarily on the subject of commercial credits, restructures, loan workouts, loan documentation, participations, and syndications. Over 35 years of experience in all major aspects of the commercial finance practice and Uniform Commercial Code. Representation of secured and unsecured creditors and loan organizations and restructures. Representation of secured and unsecured creditors and Creditors' Committees in corporate reorganization in and out of Chapter 11. Representation of asset-based lenders in all aspects of term and revolving credits, account receivable financing, factoring and related types of credit facilities. Extensive experience regarding Article 9 and other applicable Articles of the Uniform Commercial Code, including letters of credit. Representation of Agents and line banks in syndicated and participated credits. Representation of lenders, vendors and growers in agribusiness transactions. Representation of manufacturers in connection with sales of products, with particular experience in the automobile and racing industries. Lender liability counseling to lenders and, on occasion, borrowers. Prosecute creditors' rights in surety and guarantor situations. Agribusiness lending, workouts and restructures. 15 years of experience in litigation and trial representing lenders in State, Federal and bankruptcy courts. Extensive experience with assignments for the benefit of creditors representing all factions. The Secured Lender: Article 9 Foreclosure Sales: A Unique Approach/Safe Harbor?